European carmakers are rolling out electric vehicles like the ones on view this week at the Paris Motor Show to burnish their reputations as technology leaders and to compete with Tesla. But also because EU regulations don't leave them much choice. Many questions remain open, not least the availability of public, fast-charging stations to match Tesla's proprietary network. And customers, especially those aiming to get the most for their money, may think electrics are virtuous enough in theory—but in practice don't buy them because they cost more, and because reliable places to charge up away from home remain scarce. 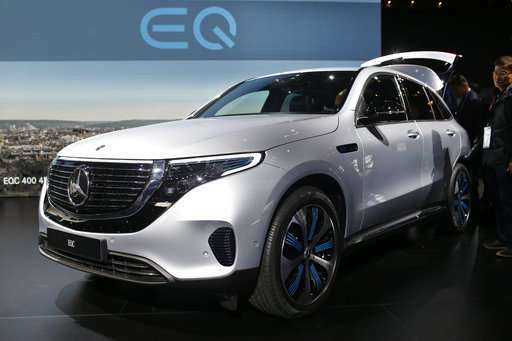 At the Paris show, Daimler's Mercedes-Benz is showing off the EQC, while Volkswagen's Audi has the e-tron, both battery-powered. 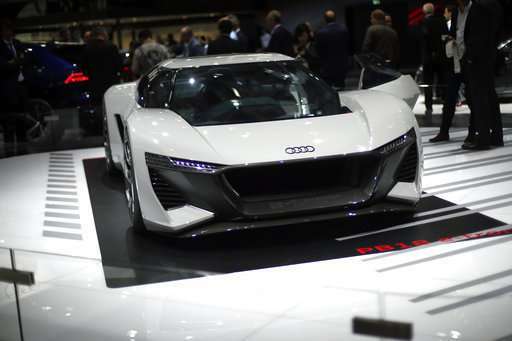 They should be on the streets in the next few months, the e-tron this year and the EQC in 2019. PSA Group's luxury brand, DS, is showing off the DS 3 Crossback, a compact SUV that will offer an all-electric version from the second half of 2019. Volkswagen will follow in 2020 with its ID electric four-door compact. BMW already makes the i3 compact and plans an electric version of its X3 SUV in 2020. But the European Union's collective effort to cut the output of greenhouse gases also weighs heavily in the automakers' plans. They must cut average emissions of CO2 for new cars sold in Europe from the 2015 goal of 130 grams (4.6 ounces) of CO2 per driven kilometer to 95 grams per kilometer in 2021, or pay heavy fines. Last year, average emissions actually crept up, to 118.5 grams per kilometer from 118.1 grams. One reason is plunging sales of diesels, hit by Volkswagen's scandal over cheating on emissions tests. Diesels can emit more nitrogen oxide, which is bad for people's health, but less CO2. "You just have to walk through the show to see that the offers are increasingly arriving at the dealers," said Daimler CEO Dieter Zetsche at the Paris event. Carlos Tavares, the CEO of France's PSA Group, said it was impossible to predict the future mix of sales between gasoline, diesel, electric and plug-in hybrid cars, which start out electric but have gasoline motors to charge the battery if needed. The industry easily reached a 2015 emissions goal of 130 grams of CO2 per kilometer by improving the efficiency of gasoline and diesel engines. Automakers expected to make the 2021 goal with a combination of diesel engines—which are 15-20 percent more efficient than gasoline engines—more efficient gasoline engines, and plug-in hybrids. Then came diesel-gate. Volkswagen's admission in September 2015 that it had rigged diesel engines to cheat on U.S. emissions tests led to a wide-ranging examination of all diesels—and the discovery that many of them emitted far more pollutants on the road than in testing. There was talk of banning older diesels from some cities, and of ending the subsidies for diesel fuel that helped propel sales. Diesel's market share in Europe fell from 50 percent on the eve of the scandal to 36 percent in July. Ferdinand Dudenhoeffer, director of the CAR-Center for Automotive Research at the University of Duisburg-Essen, estimates that BMW will need to sell 93,000 electrics per year to avoid fines, while Daimler's Mercedes and Smart brands will need 101,000 and Volkswagen a whopping 347,000. That compares to the 65,700 sold by all carmakers in the EU last year. 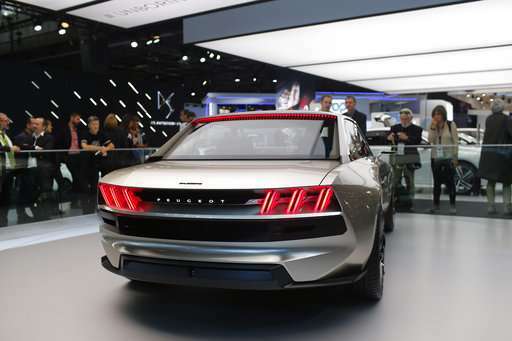 To meet the emissions limit, the industry needs a "systematic ramp-up of electric cars from the year 2020" that would hit a market share of 9 percent and 1.45 million vehicles by 2023, he said. That would likely put Europe well ahead of the United States, where the environmental regulatory push has eased. U.S. President Donald Trump's administration has proposed trimming mileage requirements for 2021-26 initially put forward by the Obama administration, and has proposed withdrawing California's right to regulate emissions. California has pushed for more electric autos, and its size gives it clout. 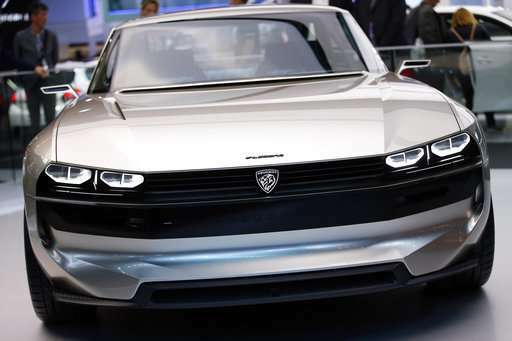 Europe may still lag China, where the government is mandating that electric cars make up a bigger part of the market. Currently the U.S. market share for electrics is 0.6 percent; in China it's 1.8 percent. "With dieselgate, the switch to electric cars has accelerated," Dudenhoeffer wrote in an analysis. "Without pure electric cars... the regulation requirements cannot be met." Research group IHS Markit predicts battery vehicles' EU market share will hit 4.8 percent by 2021 and 9.3 percent in 2024. Automakers are pushing back against even tougher requirements for 2030, saying infrastructure and consumers are not ready for the number of low emission vehicles that would be needed. The EU's executive commission wants a further 30 percent cut, and the EU parliament's environment committee has proposed 45 percent. Greg Archer, director of clean vehicles for environmental group Transport & Environment, said carmakers are blaming the decline in diesel sales for their inability to meet future targets, "while pushing old, inefficient, high performance SUVs to maximize their profits." "But the reality is that almost all serious carmakers in Europe will hit their targets and avoid fines," he said of the 2021 targets. Archer said 5-7 percent market share for battery vehicles and plug-in hybrids "will get them there."